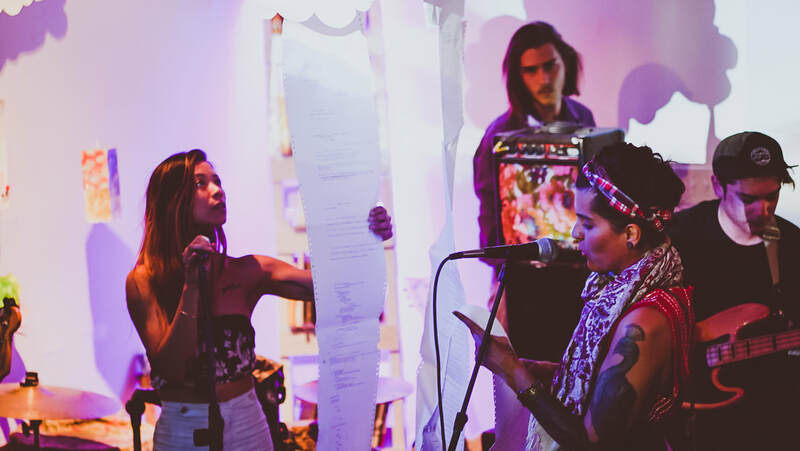 April was Poetry Month and Parse Seco had quite the literary medley to keep your ears, eyes, and hearts entertained. 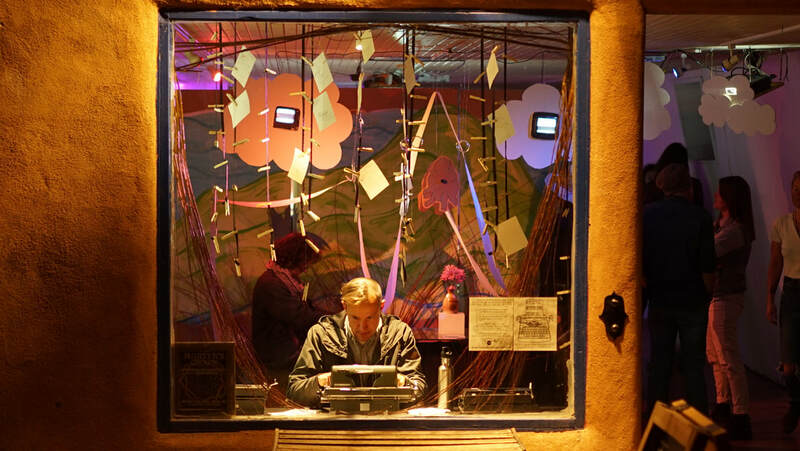 The gallery opened its doors with an installation that showcased the diverse range of voices found in the Taos region. 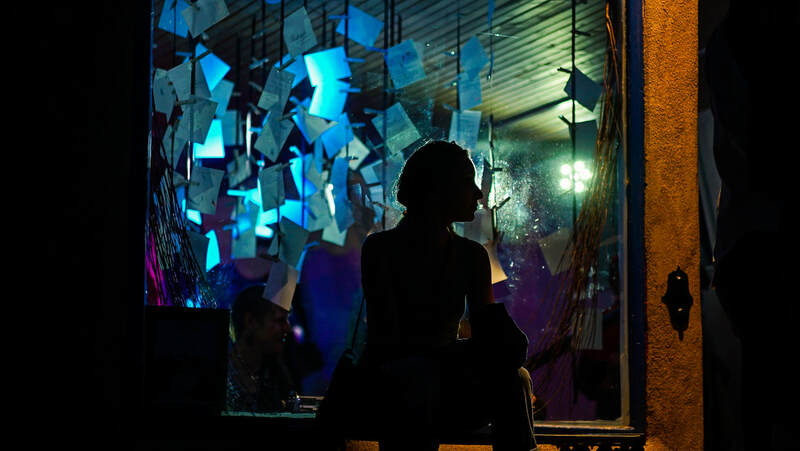 Through spoken word, music, movement, and film, audience members found themselves connected to a community so elevated in its heart. 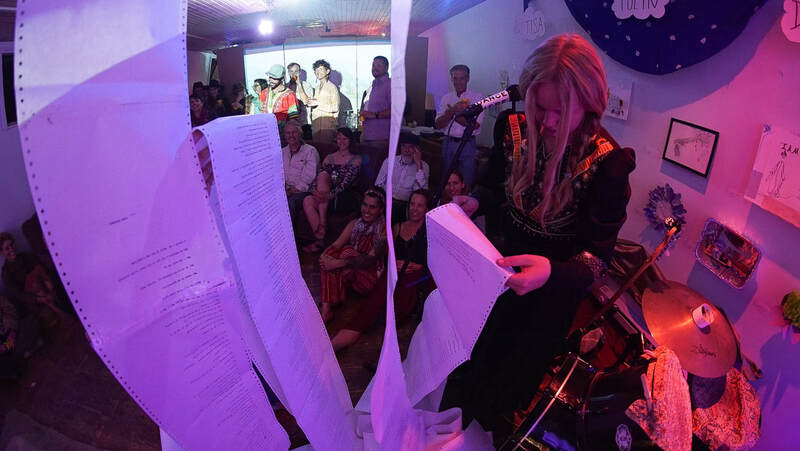 Eight typewriters stacked around the room with prompts for participants to write poems in response to. 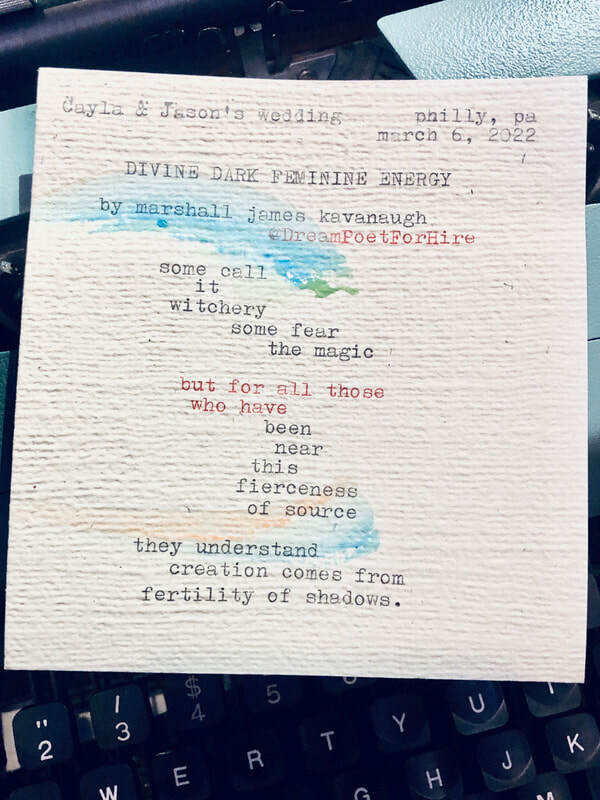 Each poem was then added to an exquisite corpse suspended throughout the gallery. 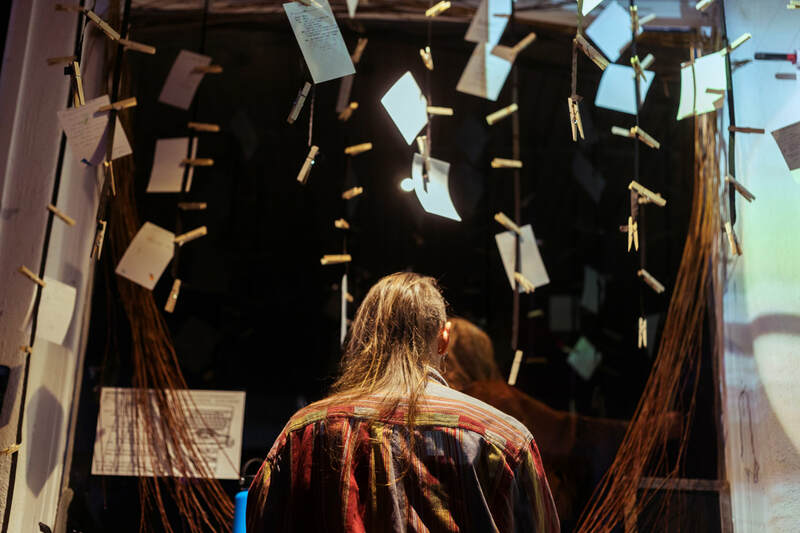 Closing night featured a 4-dimensional soundscape made of the typewritten orchestra with contact mics and effects pedals cultivating the Taos Hum as a background for the ongoing exchange of words. In the middle of the gallery, sits the centerpiece, the Dueling Typewriters. 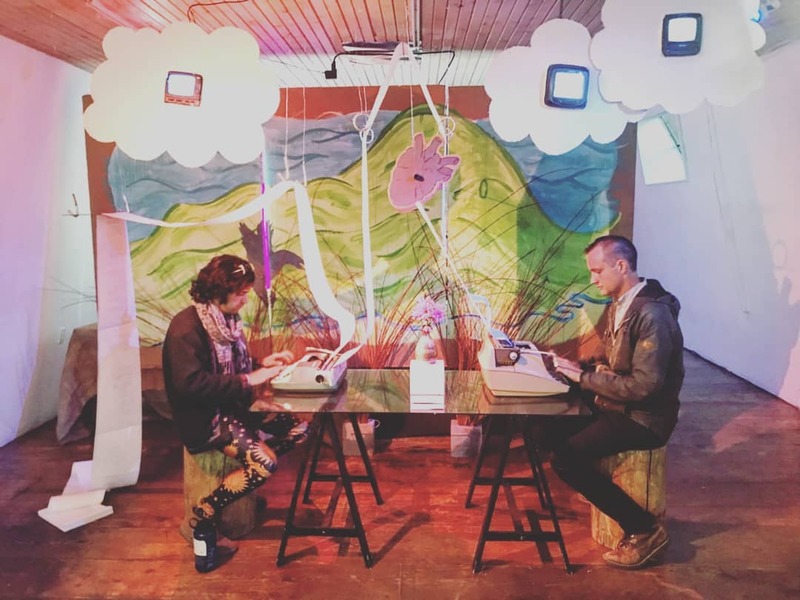 Two typewriters locked in an infinite scroll feeding endlessly for participants to write their favorite poems. The heart of the mountain providing the fuel for these words to spiral. 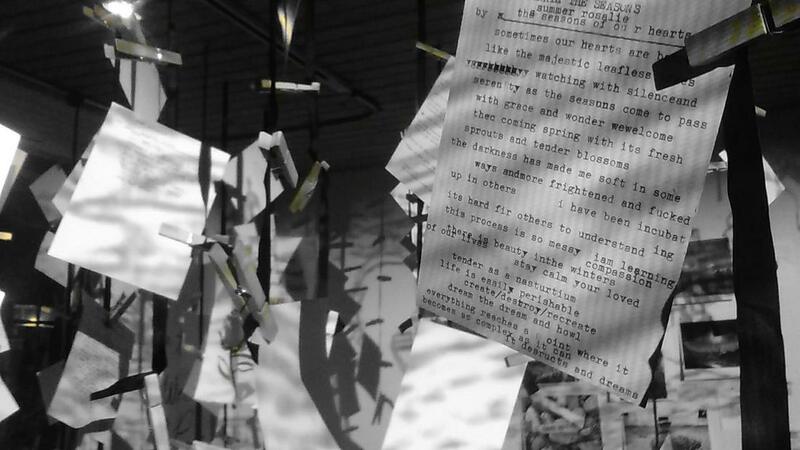 At the end of the installation the scroll is read and poetry of the moment is cast into the air like electricity. Each week, type-ins were held to encourage new audiences to share their verse on these old machines. 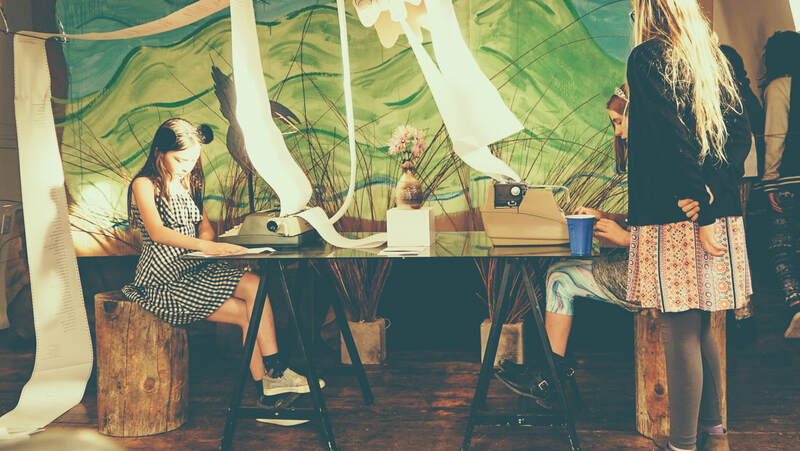 For many, it was their first time using a typewriter. For others, it brought back the nostalgia of writing to the beat. 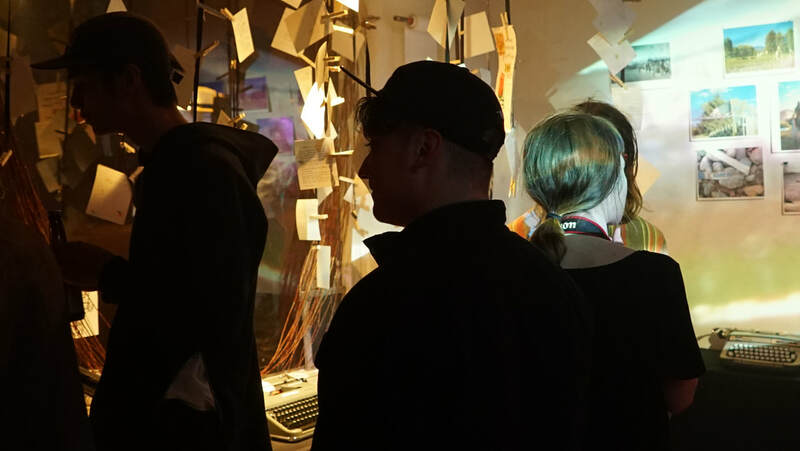 An interactive sound installation designed by Jamin Reyes, Sam Fischer, Brett Tomadin, and Marshall James Kavanaugh with contact mics and effects pedals, as well as triggered samples to create the Taos Hum. 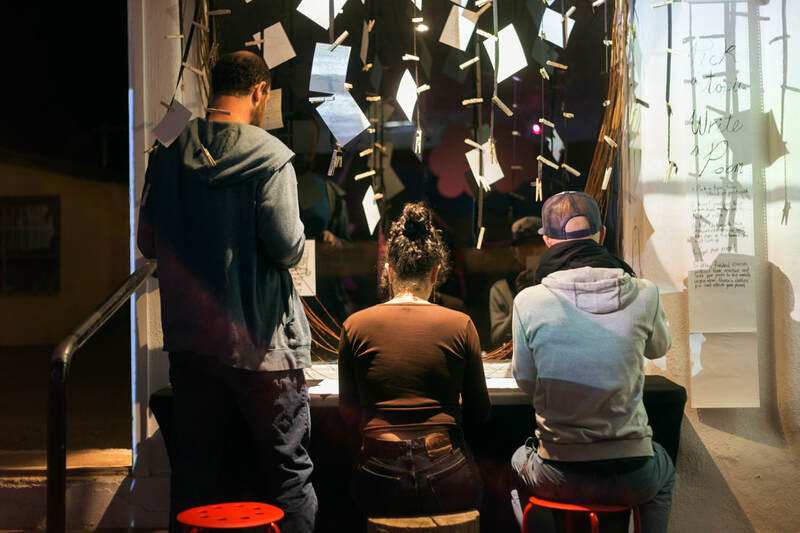 Word Exchanges were held inside the installation featuring poetry, music, and film. Performances were curated to demonstrate the diverse range of talent and culture at home in the Taos community. 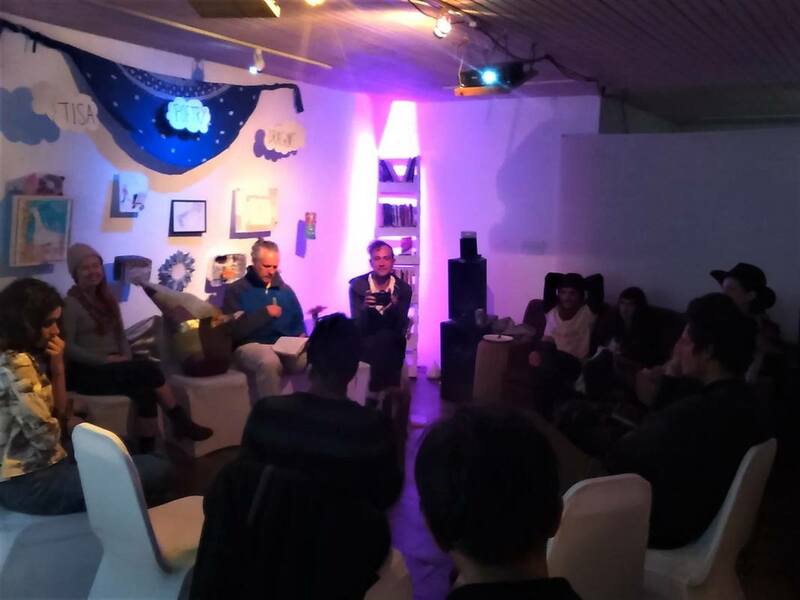 Every night featured a series of performances to fully activate the space. Featuring over 50 musicians, poets, dancers, and filmmakers throughout the month, Taos was celebrated in all of its beauty. 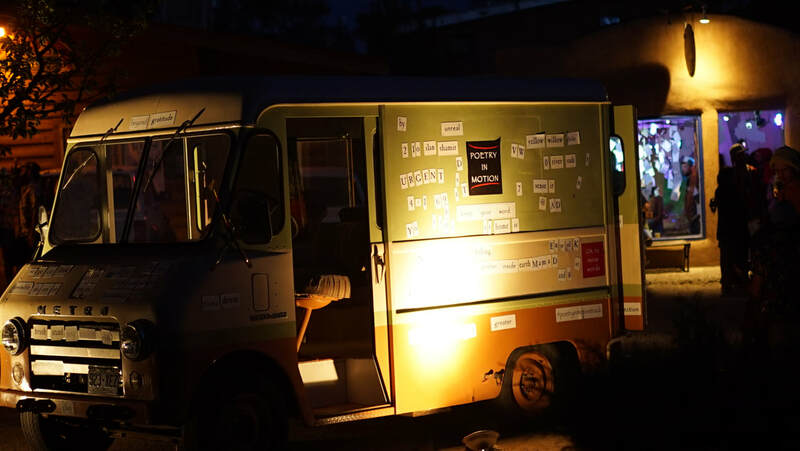 as well as a late-night visit by the #PoetryInMotionTruck!